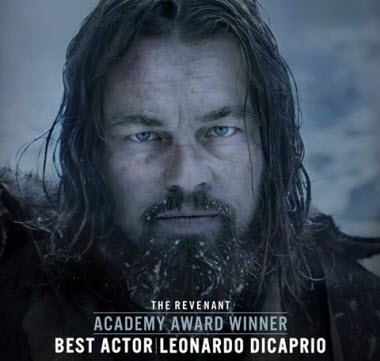 On February 29, 2016, Leonardo DiCaprio ended his long wait for an Academy Award with his role in The Revenant. He finally won his first Oscar for Best Actor at the 88th Academy Awards after six nominations over the course of 22 years. Directed by Alejandro G. Iñárritu, The Revenant is about a frontiersman on a fur trading expedition in the 1820s fighting for survival after being mauled by a bear and left for dead by members of his own hunting team. In DiCaprio’s acceptance speech, he described The Revenant as "about man's relationship to the natural world", and spoke of underprivileged people affected adversely by human activities on nature. In this film, DiCaprio was said to have eaten raw bison liver and slept in animal carcasses. He deserved the Best Actor for Oscar with this role. Leonardo DiCaprio has been nominated for six times and was first nominated at the age of 20 with the supporting role of What’s Eating Gilbert Grape. But every time the Oscar Award passed him by. Now, eventually, he took home the Best Actor of Academy Award. Let's list all his nominated and awarded Oscar movies together. How to Play These iTunes Movies on Android Devices? If you have downloaded the movies of Leonardo DiCaprio from iTunes, there always is the possibility that you need to transfer and play these iTunes movies on your non-Apple devices. But, the DRM protection is always the biggest obstacle when you try to do that. Thankfully, NoteBurner M4V Converter Plus comes to rescue. NoteBurner M4V Converter Plus (For Mac | For Windows) is essential to help remove DRM from iTunes purchased and rented videos. It is a powerful and professional DRM removal to remove iTunes DRM and convert iTunes M4V to MP4 format at 20X faster speed. 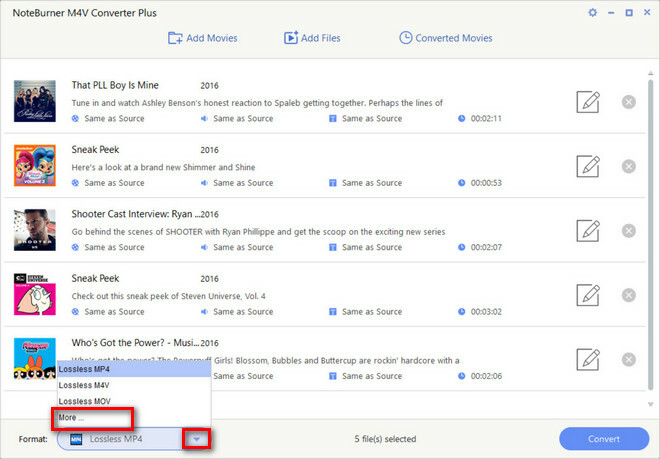 In this way, you can transfer any of your iTunes movies to non-Apple devices, such as your Android devices. How to Remove DRM from Downloaded iTunes Movies? You need to make sure that you have successfully download the movie of Leonardo DiCaprio from iTunes. 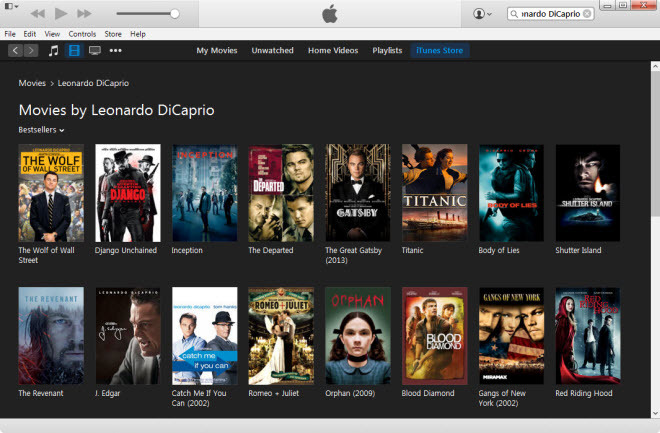 You can search Leonardo DiCaprio in iTunes to find all its movies, and purchase or rent the movie you want. Launch NoteBurner M4V Converter Plus, click on the Add Movies button, then you will see the pop up windows which will show you all the iTunes purchases and rentals. Or you can find the video file you have downloaded and directly drag them to NoteBurner interface to import. The added video will show up on the main panel after adding. Then you just need to choose the right output format according to your need from the output profile list. Here you can custom the output video by plenty of option. 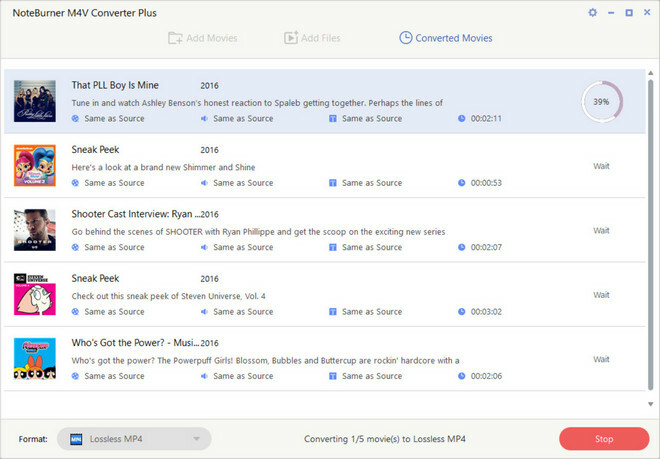 You can input start and end point to skip the unwanted part or custom iTunes movie by adjusting the video bitrate, frame rate or audio settings. Then, you con import the converted Leonardo DiCaprio's movies to Android devices for enjoying.